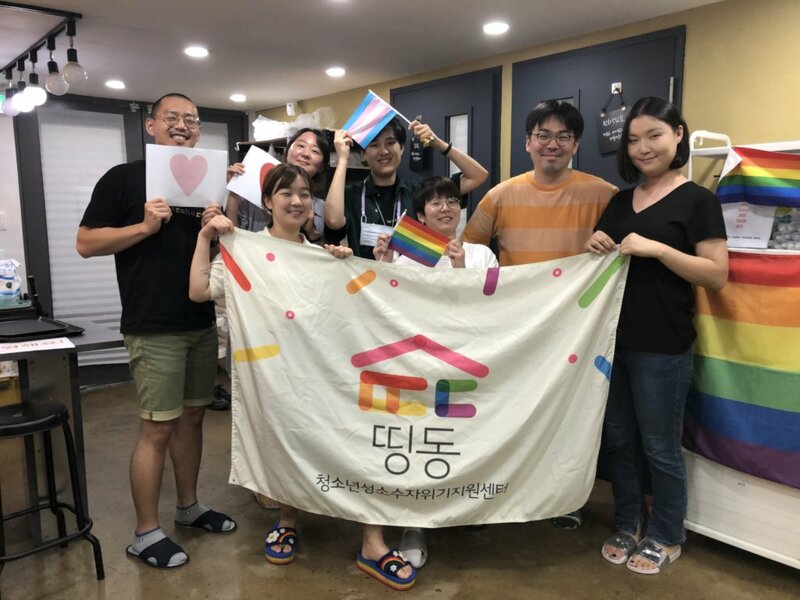 Our FINAL goal is to develop a self-sustaining long-term shelter which will assist homeless queer teens make their way toward independence in Korea. But initially (Phase I), we want to reach out to and counsel LGBTQ teens right out in the streets as we conduct surveys to determine a specific strategy to develop the shelter. Korea is a culturally conservative society; therefore, heterosexism and homophobia are prevalent in the homes, schools, religious centers, and streets. Consequently, LGBTQ teens are very likely to be in danger of emotional, verbal, and sometimes physical abuse/violence. As a result, they face psychological problems such as depression, low self-esteem, and high risk of committing suicide. Despite the demand, there are no free counseling centers, hotlines, or shelters in Korea for the LGBTQ teens. Street Counseling (Phase I) of Rainbow Teen Safe Space will offer a multi-dimensional support system by providing crisis intervention, counseling teens for socio-psychological pain and trauma, and restoring relationships between queer teens and their parents/peers. We will create a Safe Space so that queer teens can feel accepted and affirmed. Through surveys and data collected from Street Counseling, we will make plans to establish a shelter. Simultaneously, we will bring awareness to the needs and dilemma of queer teens in Korea. will provide one LGBTQ youth with a nice snack. will provide psychology consultation to one LGBTQ youth at risk.